If you've ever wondered why the flight attendant with the drink cart took forever to reach your row, there's a good chance it's because somebody (or everybody) was holding up the process by ordering this one specific drink. A word to the wise: For the parched traveler in need of a drink immediately, don't order a Diet Coke on a plane because it apparently takes longer to pour than other drinks, according to an anonymous flight attendant being the blog These Gold Wings. 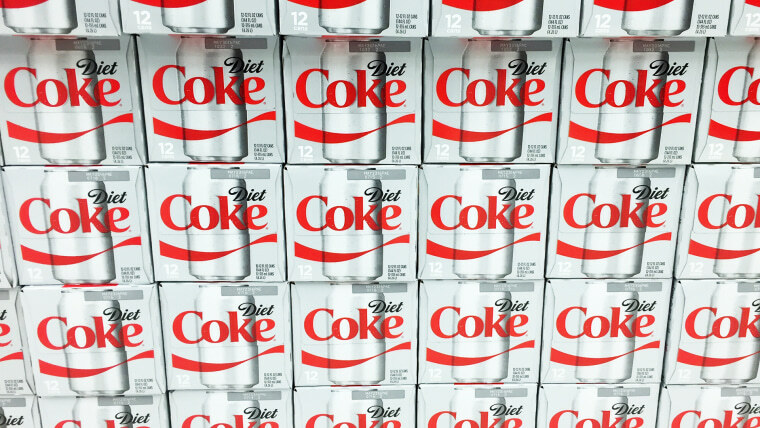 If you're thirsting for a Diet Coke on a plane, you better have some patience. In a 2013 blog post that continues to make the internet rounds, the flight attendant noted that because the average airplane cabin is pressurized to the equivalent of about 8,000 feet instead of sea level, soft drinks foam up more when poured out of a can. The veteran flight attendant move is to turn the can completely upside down into the cup and then lift and tilt it slightly to pour the liquid faster, without worrying about the foam spilling over the top, according to the flight attendant. The post became so popular that he even created a video to showcase the unique technique. "Pouring Diet Coke is one of the biggest slow downs in the bar service and on the shorter flights those precious seconds count!" he wrote. He also would like people to know that it's not irritating for him to pour Diet Cokes, as it had been previously presented in multiple stories about the blog post. It's just one of those quirks that flight attendants have to deal with. "Here is my official stance on passengers ordering Diet Coke, not that anyone should actually care: I don’t care what you want to drink,'' he wrote in an updated post. "I’ll pour it, and I wont have a second thought about it."